I recently finished up a job for a customer who just upgraded his Sea Ray from the 34 Sundancer to the 44 Seadan Bridge. I decked out the cockpit and swim platform on his last boat and he loved it, so he decided to call me up and work on his new one. While discussing options on his upgrade, he mentioned that the custom SeaDek in his old boat was a huge selling point and set it apart from the other Sea Ray boats on the market. 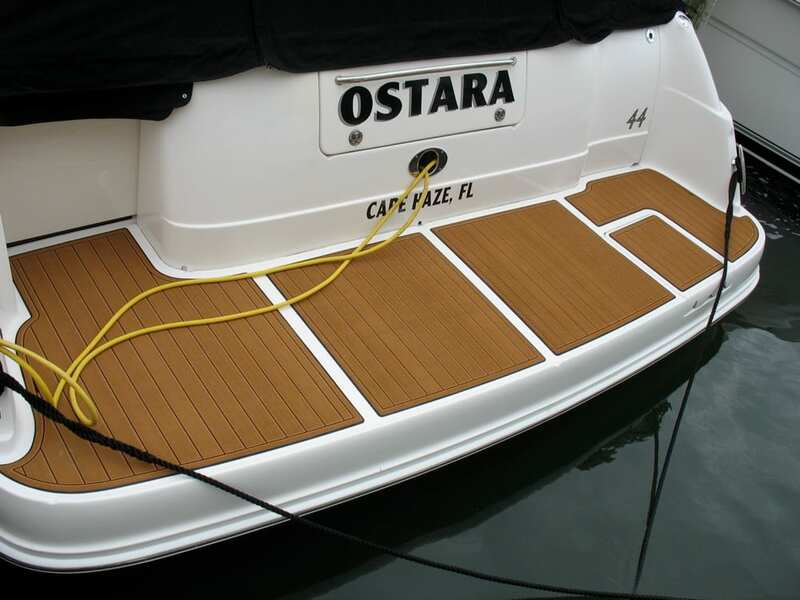 Along with the faux teak SeaDek in the cockpit and the swim platform we also added it to the steps going up to the fly bridge and also in the heads. 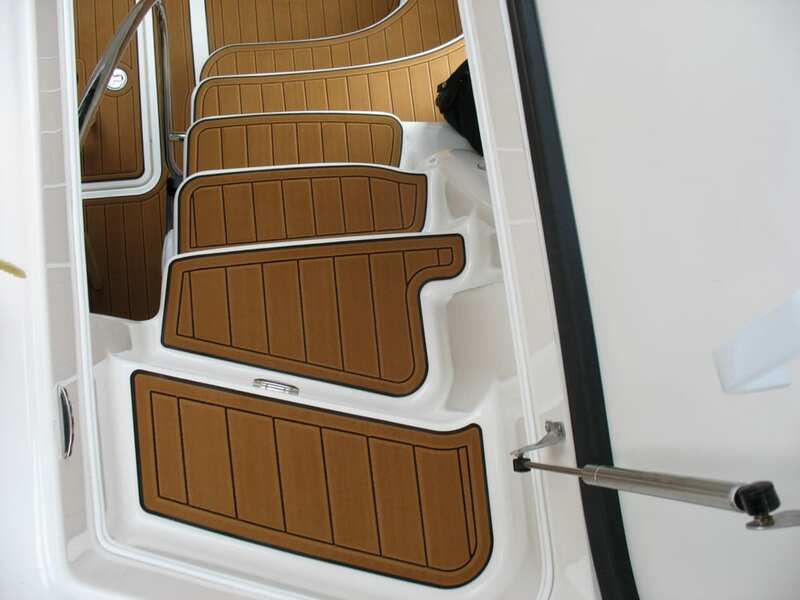 The interior application of SeaDek is one that has been over looked, but is becoming ever more popular for the provided traction in showers and heads and the cushion on cabin floors and steps. 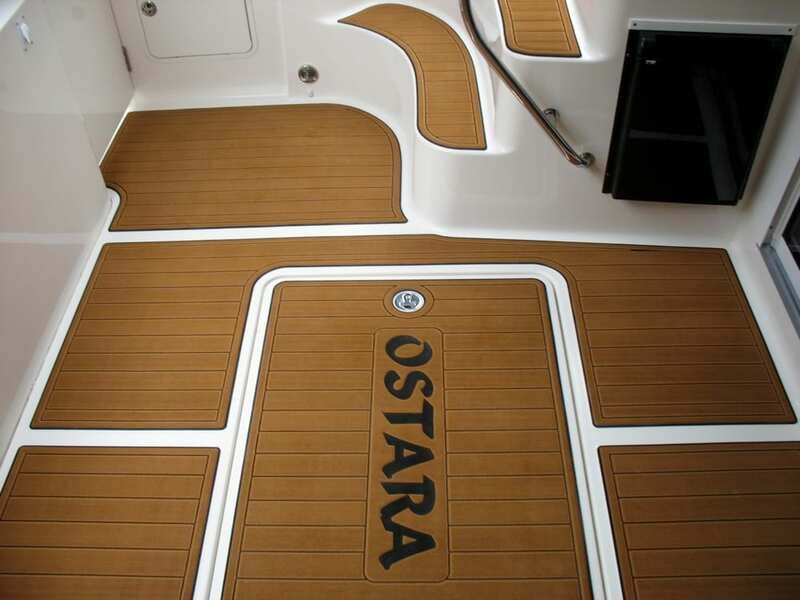 One of the nice things about the faux teak SeaDek is all the planks and grooves are designed on a computer and cut on a cnc machine so we have the option of making different size planks and borders on the faux teak. 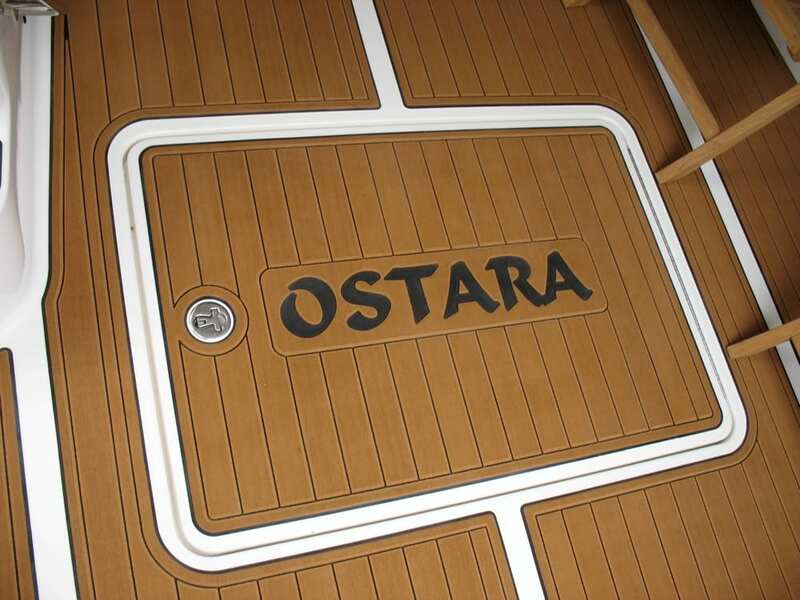 Another popular option on the larger cruising boats is adding the boat name in the cockpit floor. The customer decided to do it in the middle of the engine hatch which looked very nice. 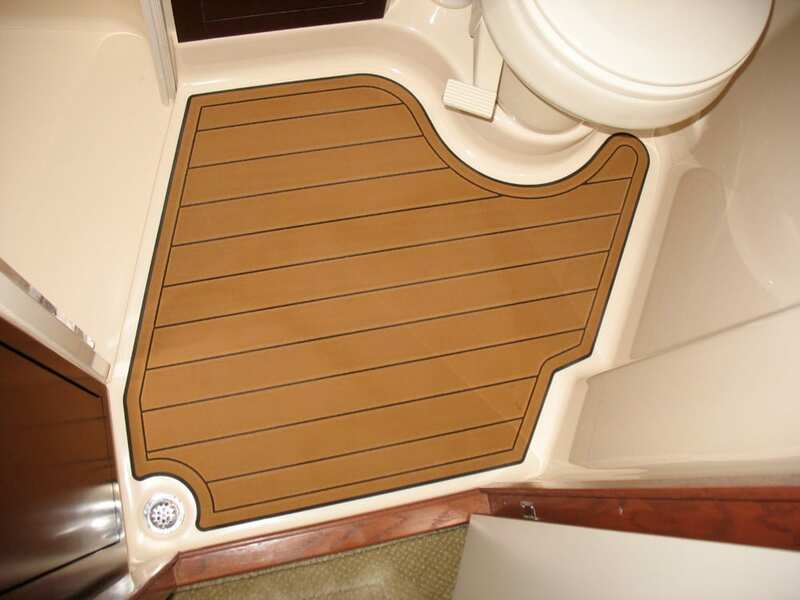 If you are interest in adding faux teak SeaDek to your Sea Ray or any boat you can contact info@castawaycustoms.com.